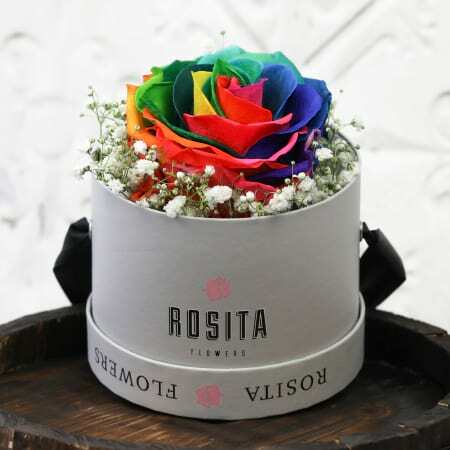 Our Beautiful and Preserved Rose delicately placed in our Signature Rosita Hatbox, Beauty that can last from 6 months. *please note that preserved roses are very fragile and delicate. Do not water preserved roses.